Photobooths give you and your wedding guest a great memo of your joyous day. Friendly and helpful attendant always on site to ensure the most amusement your guest will love. Personalized text, logos, frame color created for every event. USB memory stick flash drive with all pictures taken at event. Our Themed parties have Props and Backgrounds that are hand picked to enhance your event. Open air green screen with unlimited background options. Let us put you an where your heart desires. All of our Booths have been custom made to work and look great! We have endless posibilites for props so the guest waiting in line will also be entertained. 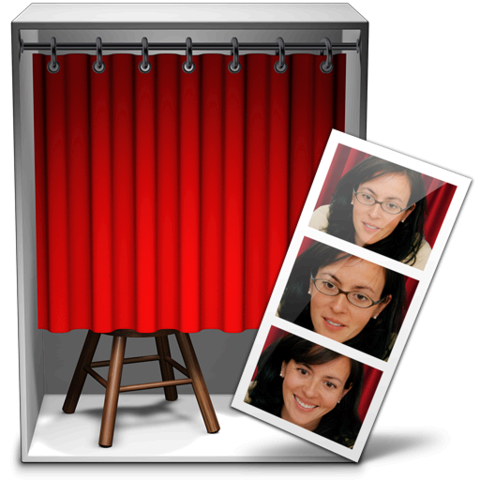 Photo Booths provides an unprecedented amount of entertainment for your guests. A Photo Booth allows your guests to let loose, be silly, get romantic, and just have plian old fun! At your wedding, they also provide entertainment while the wedding party is busy with your photographer, plus your guest get an incredible reminder of your special event or prom. You have an option of how many pictures you would like per photo strip, normally ranging from 1 to 4, and we can even customize your photo with your own frame color, message, or logo. The booths can accommodate as many 10 people with our open air option, so whether you’re trying to squeeze in your best friends or a whole bridal party the more the merrier! We have the drop curtain style sides that allow more guests to fit in the booth. The "Green screen" option allows you to choose any background picture that allow your guest to be transported anywhere you want to go. Why trust your Wedding Day or special occasion to an inexperienced or "bargain rate" company ? You get what you pay for! Are you ready for an interactive,professional photo booth rental experience based in upstate New York. We are currently available for events in Albany, Troy, Saratoga Springs, Mohawk, Utica, Rome, Syracuse, Owego, Cooperstown, Rochester, Cortland, Windham, Binghamton, Liberty, Cobleskill, Kingston, or any locations within 3 hours of Oneonta, NY.